I have got an electronic speed controller as pictured in the first image. What kind of contacts are those on the left? The second image is a closeup. I am asking how to physically connect these contacts. Are these pins or plugs? Are they for soldering? If yes what is the advantage over just soldering two wires together. 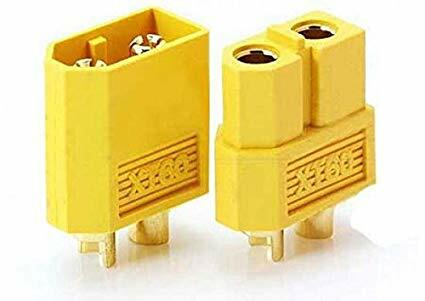 In your second image, they look very much like the connectors used on the standard XT-60 connector which are design to be soldered onto. 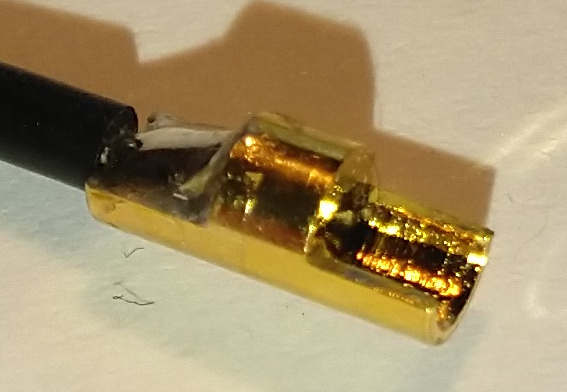 The one shown in the second image is a type of a bullet connector. If you consider the whole ESC, the black 3 wires goes to brushless motor. Red and black wires on the other side goes to the battery. Test several motors with one ESC. Change a damaged motor from the system without taking the ESC out. Reverse the motor when needed. There is nothing wrong with soldering wires directly if you don't have above concerns. Not the answer you're looking for? Browse other questions tagged esc wiring connector or ask your own question. 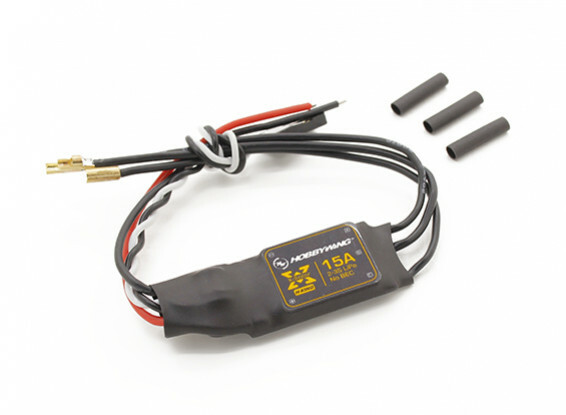 Does it matter if my electronic speed controllers are close to my brushless motors? difference between sabertooth motor controller and rc esc?